Why did mortgage rates just surge? Toronto-Dominion Bank has stunned rate-watchers with its larger-than-expected, late-April mortgage rate hikes. The worry now is that, with other banks following suit, this could start to undermine an already wobbly housing market. Aside from that concern, there is also a bit of head scratching. With most rate changes, one bank takes the lead and the others quickly match. But TD’s increases on Friday introduce added uncertainty because they were so aggressive and they might not be matched. TD raised five of its fixed-rate mortgages, including a big 0.45 percentage point increase to the five-year term. Royal Bank followed by only hiking its five-year posted rate 0.20 percentage points. 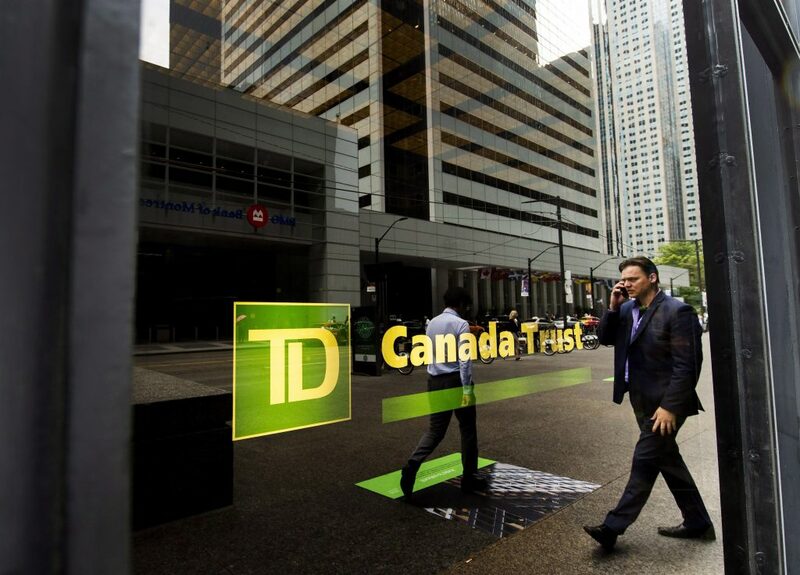 TD’s move on the five-year was the largest increase the market has seen since March of 2010. If multiple big banks lift their posted five-year fixed rates, the “benchmark qualifying rate” goes up. That’s the rate most lenders use when testing your ability to handle higher payments. The higher it goes, the harder it gets to be approved for a mortgage. My view is the other banks probably will end up matching, or close to, TD on the two-year to four-year rates but won’t match it on the five-year number. If you’re applying for a mortgage and your debt-to-income ratio is high, a higher qualification rate is not what you want to see. How much the qualifying rate rises depends on how the other banks follow TD and Royal Banks’ lead. We will learn that in the coming days or weeks. The main reason banks raise rates is because their funding costs rise. But that alone doesn’t explain TD’s dramatic move. Funding costs have risen by less than half as much as TD’s increase on the five-year fixed mortgage. Something else would appear to be at play. It could be that TD is trying to influence rates higher to pad profit margins, or trying to coax more people into locking in. Or it could be trying to build reserves in a riskier housing market where national average home prices are down over 10 per cent in one year. Unfortunately, banks keep their rate setting strategies proprietary so we are left guessing. By the way, some industry analysts have speculated that the government might be influencing rates higher. For its part, The Office of the Superintendent of Financial Institutions (OSFI) says it “has no role to play” in mortgage rate setting” other than establishing the minimum mortgage qualifying rate for uninsured mortgages. “Mortgage rate setting is a business decision” of the banks, it says. Looking further out, Canada’s five-year government bond yield will dictate the path of fixed mortgage rates. And right now, we’re at an inflection point with the five-year yield recently hitting its highest level in almost seven years. There’s a good chance yields could keep climbing since they’re guided by inflation expectations (yields trade in the opposite direction to bond prices, and lately bond prices are selling off on concerns the U.S. and Canadian economies will be strong enough to stoke inflation). With the U.S. economy rocking, core inflation here could make a nine-year high, either later this year or next. READ: Why are Canadian mortgages rising? And how far could they go? If that happens, the Bank of Canada will act, boosting prime rate near 4 per cent or more. In turn, that could tack on another one-third of a per cent to five-year yields, driving up long-term mortgage rates a similar amount. This isn’t my prediction, but it is worth preparing for this possibility. Unlike fixed rates, variable rates have been slowly dropping (for new mortgage shoppers). That’s because the discount to prime rate has been increasing. Banks are giving back some of that 0.20 percentage points they pocketed in 2015, when they refused to match Bank of Canada rate cuts. If you need an insured mortgage (e.g., your down payment is less than 20 per cent), you can find variable rates online at a bargain basement 2.21 per cent or less. The cheapest uninsured variables are 2.49%, almost a full point below average five-year fixed rates. Of course, the Bank of Canada could rain on the variable parade as early as its next rate meetings on May 30 or July 11. Anyone who gets a variable today must assume the risk of at least a 50 basis-point (half a percentage point) rate increase over the next year or so. READ: Why everyone should buy real estate in…Brantford? If you’re coming up for renewal or want to lock in your variable, the rate you’re most concerned with is the rate you’ll pay, not the posted rate. Near-term, actual discounted rates shouldn’t rise nearly as much as TD’s alarming posted-rate hike. We’ve seen roughly a 0.10 percentage-point upturn in recent days, which adds just $15 a month to the payment on a typical $300,000 mortgage. Until the five-year bond sells off enough to push the yield above 2.20%, a lid will remain on fixed rates. We closed at 2.13% on Friday. If the qualifying rate does jump in the next week or two, peoples’ buying power will drop anywhere from 1 to 3 per cent (depending on how high it goes). That, coupled with rising debt servicing costs and housing tax measures in B.C. and Ontario, adds more negative psychology for a detached house market that’s already softening. As for urban condos, they’re on a different trajectory—up. Tight big city rental markets and tougher mortgage qualifications are juicing demand for urban properties under $500,000 (or under $1 million if we are talking about the GTA and GVA). And one rate hike won’t do anything to derail that.